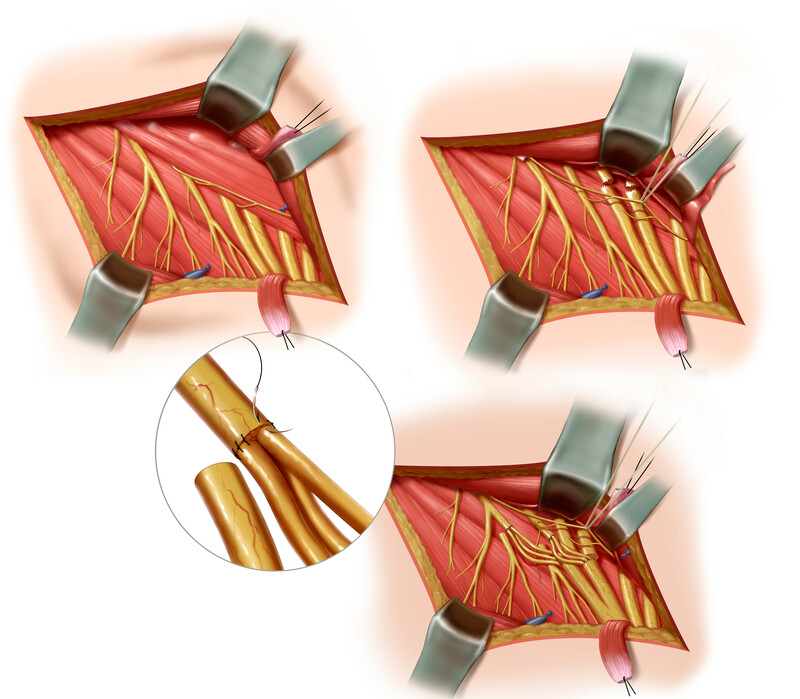 This medical illustration helps explain a surgical technique for removal of the endolymphatic sac. 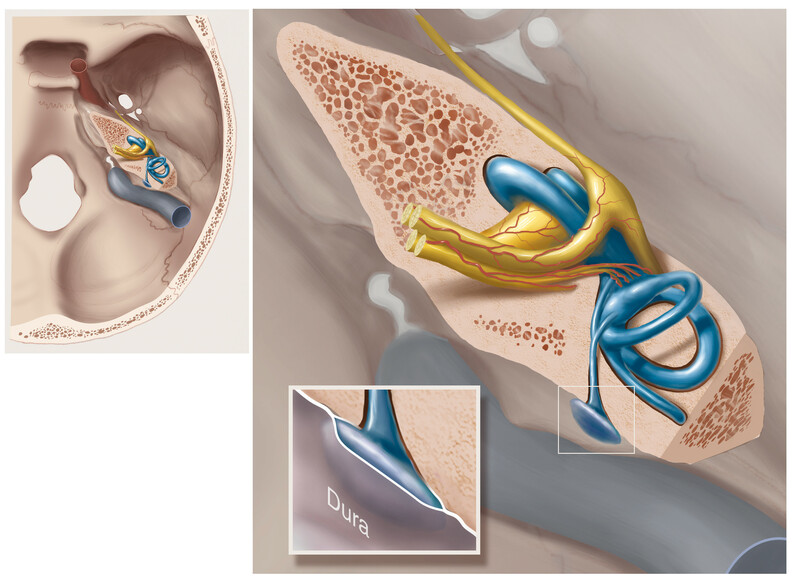 The set of illustrations was the result of many hours working with the research surgeons at NIH. This series is part of a report describing an experimental treatment for brachial plexus injury. Grafting the nerves led to patients regaining some movement in their arms.